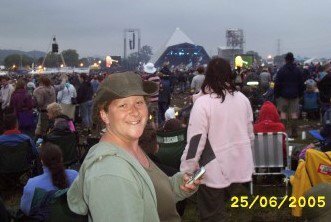 Back in the olden days, when no-one in our house had exams, and schools were allowed to appreciate the value of time away with your family, I took my older children to festivals each year. My younger boys haven't been quite so lucky, but they're not novices. As well as the music, the performances and the sheer spectacle, it also introduced your children to a wide variety of foods which they may not be so keen or likely to experience at home. 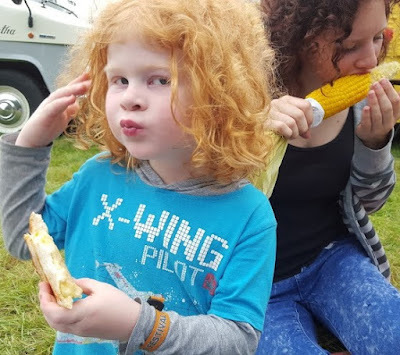 Here are 5 Festival Foods you really should try, and get the kids to try them too! Gone are the days you had to fly somewhere to find huge pans simmering and sizzling full of rice and vegetables, and meats like chicken, Chorizo and other sausage. Huge burners remove the need for an actual wood-fuelled fire and it's commonplace now at festivals to find these 'meal in a pan' stands, and it can set you up for the day. A good tea helps keep you going long into the evening and shouldn't be under-estimated. All small tired children will eat vegetable chow mein. It's like a secret trick. 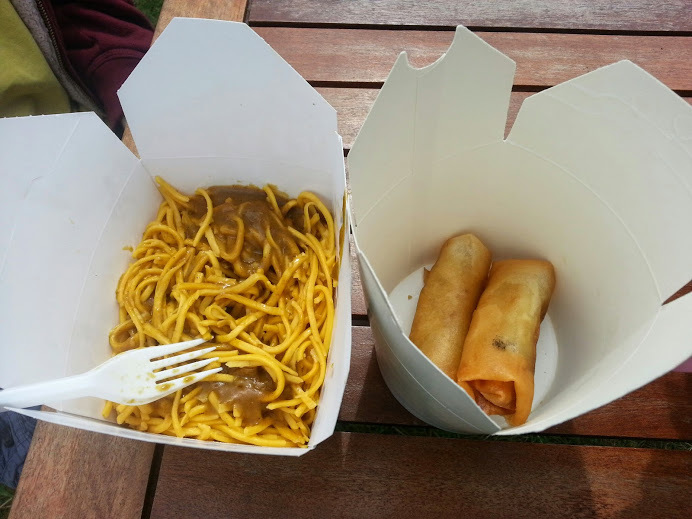 Pots of noodles are really commonplace at festivals now and a perfect alternative to chips, but without the fat. They fill your belly, give you energy and warmth, they're cheap, super-easy to eat and are very often amazingly tasty with loads of fresh vegetables. Okay, I left burgers in, but this isn't the scary pre-frozen barely-beef patty of the 80's (slopped in 3 tablespoons of sugar and a smidgen of tomato which calls itself 'ketchup'). This is the home-made never-frozen 97% Scottish Beef in a granary bun with red onion, fresh greenery and chilli chutney. It can also be a genuine vegetarian burger which contains protein, and isn't made from diced vegetables squished into a dollop of mashed potato. Nice burgers. Proper clean food. These were one of the first regularly available vegetarian festival foods, so I've had my share. They were on several occasions the only protein I ate all weekend. Falafel can be hit and miss depending on the chef, but nice crispy falafel in a pitta with salad has long time been a favourite of my older vegetarian children. You have to have at least one dessert, right? Fairly new to UK festivals, but everywhere now, these Spanish snacks are ridiculously simple yet delicious. Basically a long star-shaped stick of deep fried doughnut batter dipped in sugar and chocolate, what is not to like?! We tried making them and discovered the secret is definitely in the shape, but our home-made Churros still tasted delicious. 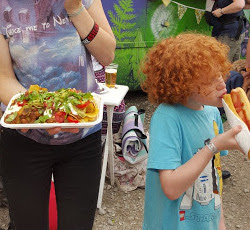 Everything tastes better when you are really hungry, or cold, or shattered, but festival food has really made use of advances in portable power units to turn itself from something you had to put up with, into something you can look forward to and get excited about. This is a post I was asked to write and I was reimbursed for the time taken to do so.